For Baby Safety Month, we sat down with the company's Head of Pediatric Drug Development to learn about its industry-leading Child Health Innovation Leadership Department. Ensuring the safety and well-being of children has been a cornerstone of Johnson & Johnson's work for over 100 years. Today, the company helps provide treatments to millions of kids across the globe to address everything from tuberculosis to intestinal worm infections, so children can reach their full potential. It's just one facet of a larger commitment: help improve the health of future generations, or "GenH." Another important facet of that commitment: help improve medical innovation for these little patients. It's why Johnson & Johnson created the Child Health Innovation Leadership Department (CHILD), which is part of the company’s Office of the Chief Medical Officer. The mission of CHILD is to help drive the creation of new and better policies around medical treatments for children, as well as uphold the safety and effectiveness of pediatric drugs. In honor of Baby Safety Month, we spoke to Samuel Maldonado, M.D., Head of Pediatric Drug Development and Vice President, Child Health Innovation Leadership Department, Johnson & Johnson, to learn more about the company's forward-thinking work for kids. Q: Why is helping to develop better pediatric medicine a priority for Johnson & Johnson? A: This has been a focus of ours for many years. We realized that many medicines produced for adults are also being used in children, but there is very limited information available regarding their safety or effectiveness for younger patients. In fact, half of all medicines used to treat children today do not have any information on their labels about proper use for kids, and that number climbs to 90% when we’re talking about newborns. This is a major concern because an adult dose is typically not the same as a pediatric dose. Children's bodies "handle" medications in ways that may be substantially different from the way adults' bodies do. And pediatrics is not just a single population, but multiple populations: neonates or newborns, infants, school-aged children, preadolescents and adolescents. All of these groups may need different dosing information to ensure the medicine they’re taking is both safe and effective. So it's really important to do studies to find out how to appropriately use these medicines in children of different ages, and that’s one of the main things Johnson & Johnson is committed to doing through CHILD. We are the only pharmaceutical company with a dedicated department that aims to improve pediatric drug development. Other companies may have one person overseeing child drug development or pediatricians who serve as activists in this regard, but Johnson & Johnson is singular in having CHILD. We are lucky to be able to invest the time and funds into developing better treatments for children, and to have the power to call others to action in this mission. Q: What are some challenges with pediatric drug development that CHILD is focused on tackling? A: In pediatrics, you’re working with a moving target that you don’t have with adults, which is the fact that the appropriate formulation and dose of a medicine changes based on the child’s age, size and level of maturity. For example, a newborn in the intensive care unit will probably need an intravenous formulation. For infants, a liquid formulation is more commonly used. And older children may be able to swallow a pill like adults, but the strength of the formulation has to change because their bodies are smaller and less mature. Developing these different formulations can be difficult. One challenge is that alcohol is used as a dissolvent in many existing formulations, but some types of alcohols can be toxic for children—especially newborns. So we are researching new ways to prepare medications in solid forms that children can take, such as fast-dissolving tablets and very tiny ones that are easier for them to swallow. Beyond the formulation issue is the fact that children’s bodies are less mature than adults’, so they metabolize drugs at different rates—and that rate changes rapidly as they grow. That’s why we're doing pharmacokinetic studies, to see how children’s bodies handle different medicines, which will help us establish the appropriate dosing information. Q: What about pediatric studies and clinical trials? How is CHILD innovating in this space? A: Most diseases occur in adults, so it’s difficult to find participants for pediatric studies. Plus, most children are healthy, which is a good thing, but it makes recruiting children into clinical trials more difficult. To help solve for that, we can conduct studies in clinical settings where there are sick children, such as children’s hospitals. These hospitals are wonderful in caring for children, but many don't have the resources to do clinical studies at the level that the Food and Drug Administration (FDA) and other regulatory authorities demand. We realized we needed to focus on these operational issues, so we approached the Critical Path Institute (C-Path)—a nonprofit, public-private partnership with the FDA that develops new approaches for advancing medical innovation and regulatory science—for help. Together, we formed the Institute for Advanced Clinical Trials for Children (I-ACT for Children), an independent, nonprofit organization focused on addressing common challenges in pediatric trials. We’re working to form the first global network of pediatric centers that can conduct studies on pediatric medications. And if an institution doesn’t have the resources, but has the potential to recruit many patients, then I-ACT for Children helps them develop the capabilities to become part of the network. After launching this in the United States in 2017, we introduced the idea to several European pediatric centers. Earlier this year, we co-led the launch of conect4children (c4c), a six-year project with these pediatric centers to create a Pan-European network that will facilitate the conduction of pediatric clinical trials overseas. Q: How are you leading when it comes to helping newborns through CHILD? A: We’re making progress with medication for children, but there has not been significant improvement for neonates, which is a term used to refer to newborns in the first month of life. We’ve found that a very important issue is the lack of understanding about the basic physiology of neonates, especially premature ones. Without an understanding of what’s normal in these babies, you can’t know how to safely intervene with medication. Additionally, many of the diseases that occur in neonates only occur in the neonatal period, which is the month following birth. So not only do you have a small population to learn from, but they also have diseases that are unique to them. We realized that we needed to address not just the pharmaceutics, but also the science of neonatology, so we asked C-Path to create a consortium of neonatologists, children's hospitals, the FDA, the European Medicines Agency and pharmaceutical companies. In 2015, we launched the International Neonatal Consortium (INC), of which Johnson & Johnson is a founding member. 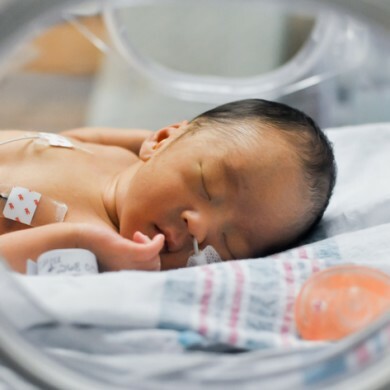 INC’s goal is to better understand diseases in neonates, so when we are doing studies, we know the science behind those diseases and are better able to address this population’s specific needs.